While a recent All India Institute of Medical Sciences (AIIMS) study has revealed that opioids worth Rs 7,500 crore, of which heroin’s share is Rs 6,500 crore, are being consumed in Punjab annually, Deputy Chief Minister Sukhbir Badal Thursday said only 0.06 per cent youths in the state are into drug abuse. He said Punjab is being “defamed” by anti-state forces. “A recently conducted AIIMS (New Delhi) study has shown the mirror to the anti-Punjab forces indulging in defaming the state by declaring 70 per cent of the youth as drug addicts. “The study shows that out of the 2.77 crore population of the state, only 0.06 per cent was found abusing drugs, which is the lowest percentage across the nation,” he said. The SAD chief said an “anti-Punjab” campaign was launched by AICC vice-president Rahul Gandhi who “branded the youth of the state as drug addicts by distorting facts”. Lashing out at the Aam Aadmi Party (AAP) national convenor and Delhi Chief Minister Arvind Kejriwal for his meetings with the families of drug addicts during his proposed visit to Punjab, Sukhbir termed it as a cheap “gimmick’. “Everybody knows that schools and colleges of Delhi and Mumbai are more into drugs and it would be better if Kejriwal takes care of Delhi first,” said Sukhbir, adding that even Punjab has broken the drug supply chains to Delhi and that the Delhi CM should be thankful for the same. 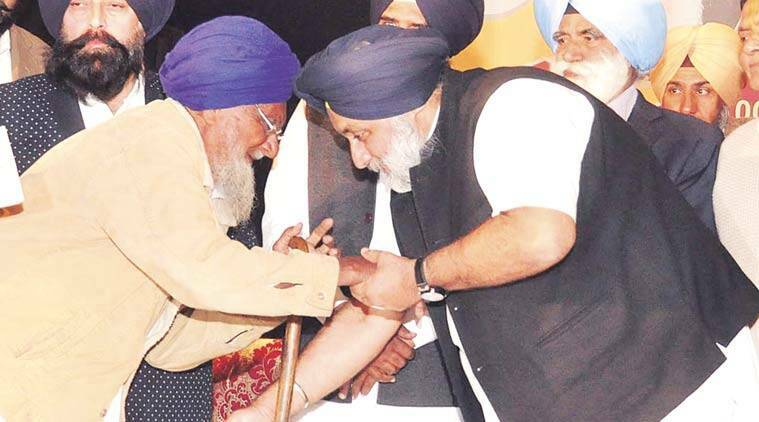 Earlier, at the state-level function to distribute the enhanced pensions to beneficiaries, Badal said state government had given utmost priority to inclusive development and maintaining communal harmony in the state. He also announced that all types of pensions would be distributed to the beneficiaries before 15th of every month.